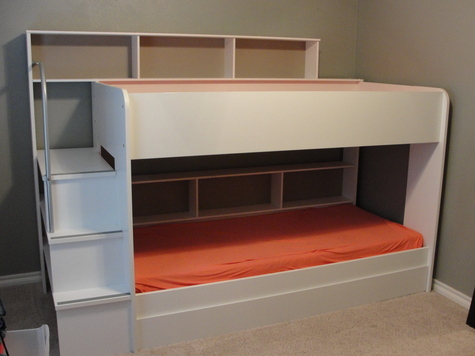 White bunk bed with stairs and shelving under the stairs. Memory foam mattresses included. Paid $ 1,500 for it. Like new.